Nicolas Sarkozy is trying to win back French voters by promising to freeze the money the country pays towards running the EU. Along with a blow to immigration, it is among the measures he outlined to cushion the effect of inevitable tax hikes. 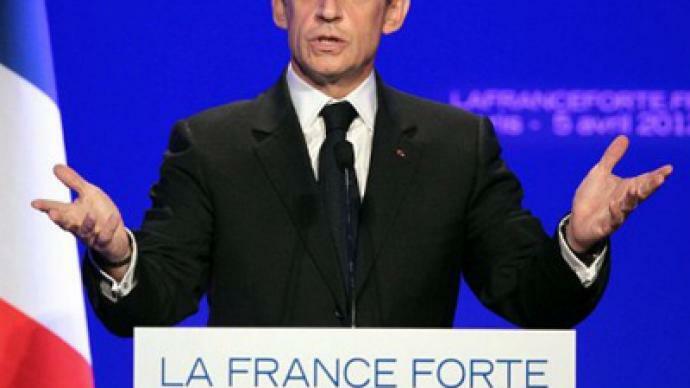 ­To save some 600 million euro per year, Sarkozy said that France would ask for a freeze in its contribution to the EU’s budget and fix it at the current level. At the same time, he pledged austerity cuts worth some 40 billion euro (US$52 billion) and 13.5 billion euro ($17 billion) in tax hikes to put France back in surplus, a position it has not been in for 40 years. 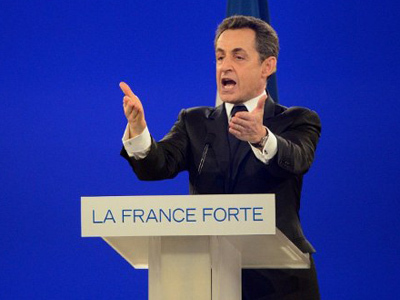 Sarkozy’s “absolutely imperative” goal is to reach a balanced deficit by 2016. 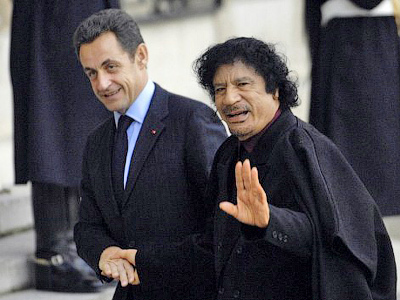 “Thanks to the work and courage of the French we are ahead on the path to reduce our deficits," Sarkozy said. Unveiling his manifesto for a second term as a French President, Nicholas Sarkozy has warned voters that France is facing a “historic” choice between repeating the fate of “Greek and Spanish friends” and adopting his cost-cutting plans. Sarkozy said that his Socialist challenger Francois Hollande, who promises “a festival of new spending that no one knows how to pay for,” will push the country into a deep recession. 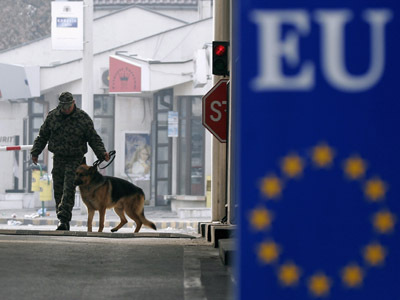 Last month, Sarkozy also threatened to pull out of the open border Schengen Zone to stop the flow of illegal immigrants. That was a desperate move by a candidate that seems to be losing the race, believes political science Professor Pierre Guerlain. The latest polls put Sarkozy and Hollande almost neck and neck with around 28 per cent of the votes in the first round of election on April 22. Neither of the candidates is expected to gather enough votes to win in the first round, and in the second round Sarkozy is projected to be underdog with some 45 per cent of the vote. With empty rhetoric Sarkozy is just trying to catch as many votes as he can from very different groups of the French population, believes Guerlain. Nicolas Sarkozy is clearly campaigning on his right, trying to espouse the line of the right-wing nationalist party by intensifying an already heated debate on security, immigration and euro integration, believes political analyst Alex Korbel. ­Watch RT’s Tessa Arcilla report about how impending election is fuelling Islamaphobia in a country with the largest Muslim population in Europe.